The purpose of the present study was to determine whether individuals with Asperger’s disorder exhibit difficulty in switching attention from a local level to a global level. Eleven participants with Asperger’s disorder and 11 age- and gender-matched healthy controls performed a level-repetition switching task using Navon-type hierarchical stimuli. In both groups, level-repetition was beneficial at both levels. 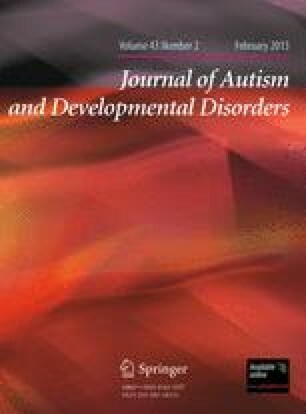 Furthermore, individuals with Asperger’s disorder exhibited difficulty in switching attention from a local level to a global level compared to control individuals. These findings suggested that there is a problem with the inhibitory mechanism that influences the output of enhanced local visual processing in Asperger’s disorder. We would like to thank all of the participants for making this research possible. We would also like to thank Dr. Tsukishima and Dr. Nakano for their help. We are grateful to Ms. Numata, Ms. Watanabe, Ms. Uematsu and Dr. Matsui for their helpful and insightful comments on this article. This study was supported by the Japan Society for the Promotion of Science (no. 23730870).